Feather McCarthy (Tavi Gevinson) uses a MAC lip liner in an antique pink shade. 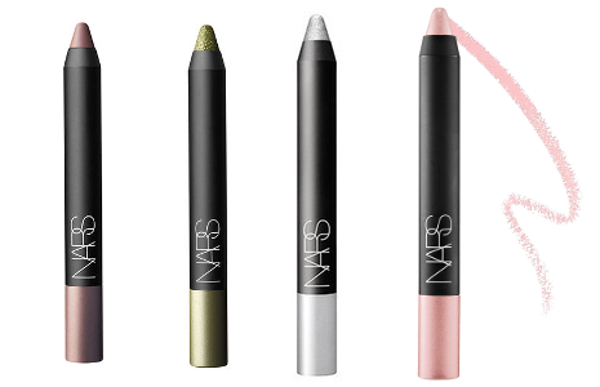 When she opens the bathroom cabinet, some NARS Soft Touch shadow pencils can be seen. 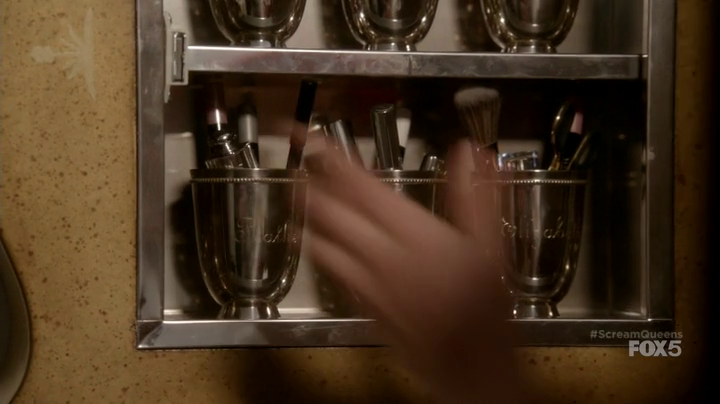 I do believe the exact shades are Iraklion, Queen, Silver Factory and Goddess. The last one on the right could be Hollywoodland, though.